Spent most of the day today at Luke's house. I've always found the dock at their house to be so relaxing. I had wanted to try a silhouette picture today but I wasn't able to get a good location for that. 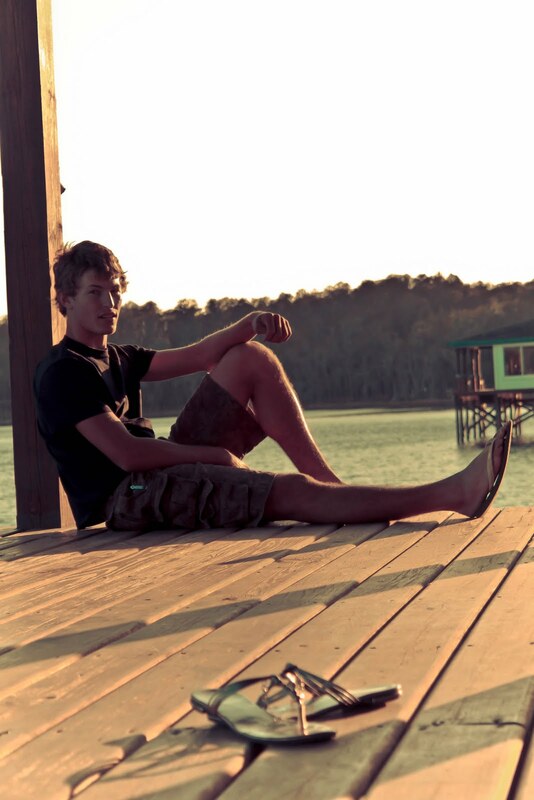 So I ended up just taking a picture of Luke on the dock. Though, you can't see his face too well in this picture. And, I have to say I was not feeling very creative today. He's so handsome :)Hopefully, he doesn't ever get tired of me taking pictures of him =).